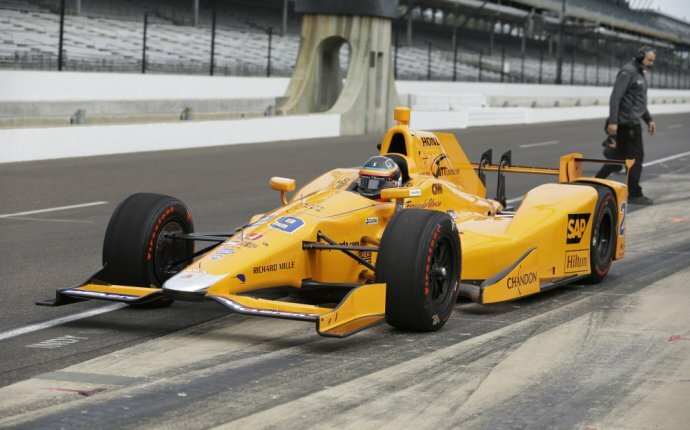 Ever since two-time F1 Champion Fernando Alonso announced he would be skipping the Monaco Grand Prix to compete in the 2017 Indianapolis 500, we've been on the edge of our seats waiting for the green flag to drop. The race isn't for another two weeks, but that hasn't stopped Alonso from making himself at home at the Speedway. Today race organizers held a two-hour practice session for rookies and other part-time drivers to get a feel for the track and their respective cars. According to Autosport, it was Alonso who came up on top for the day, lapping the 2.5-mile oval with an average speed of 221.634 mph on his 26th lap. While certainly quick, Alonso's time today was slower than the 222.548 mph lap he set on his first time around the track earlier this month. Alonso was followed closely by fellow Spaniard Oriol Servià, who set an average speed of 220.759 mph on his fastest lap. Full-time rookie driver Ed Jones rounded out the top three with an average speed of 219.288 mph. If you were worried Alonso might not be able to get accustomed to the speed of IndyCar, don't be. It looks like he's doing just fine.